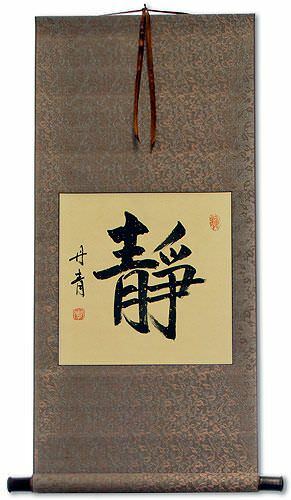 Artwork Panel: 32.4cm x 65.5cm ≈ 12¾" x 25¾"
Silk/Brocade: 41.8cm x 121.5cm ≈ 16½" x 47¾"
This is one of several ways to express as "serenity" or "tranquility" in Japanese Kanji, Korean Hanja, and Chinese characters. 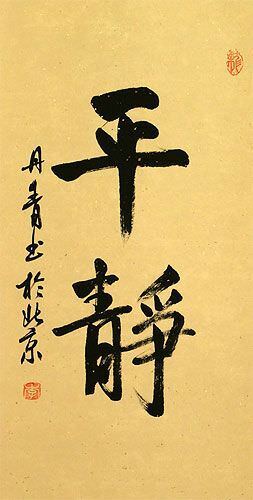 It can also be translated as calm, serenity, tranquil, undisturbed or serene. 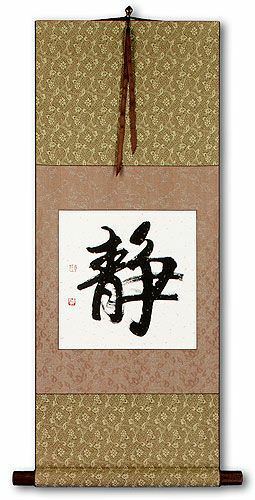 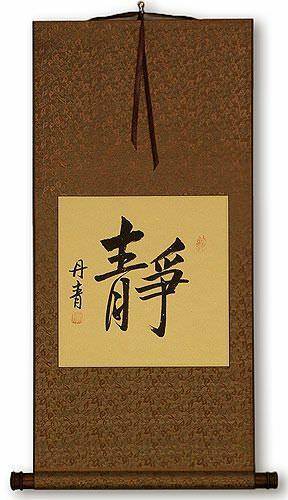 See our Serenity in Chinese and Japanese Kanji page for more custom Chinese character and Japanese Kanji calligraphy options related to serenity, calm, and peace.